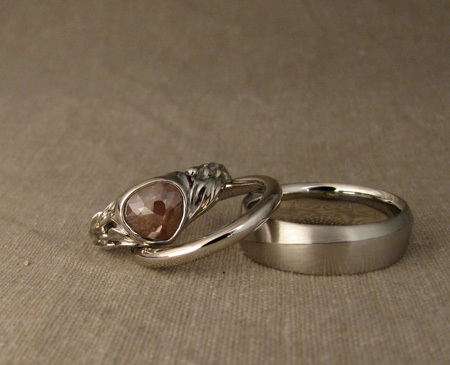 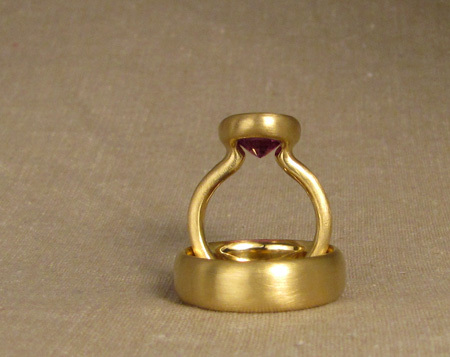 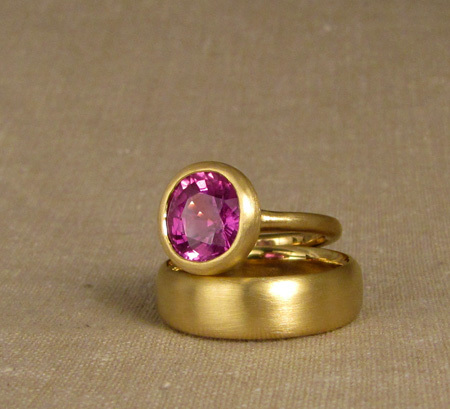 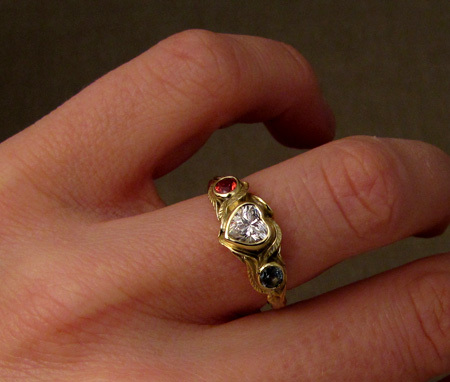 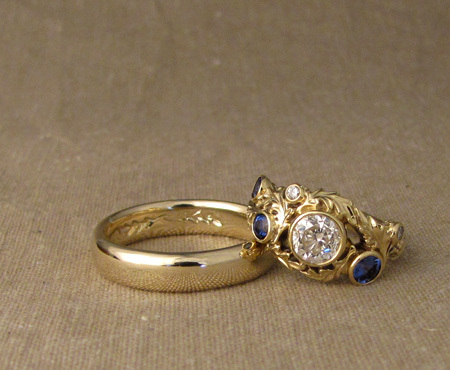 This is a re-vamp of an existing wedding solitaire with the addition of a few sapphires + smaller diamonds. 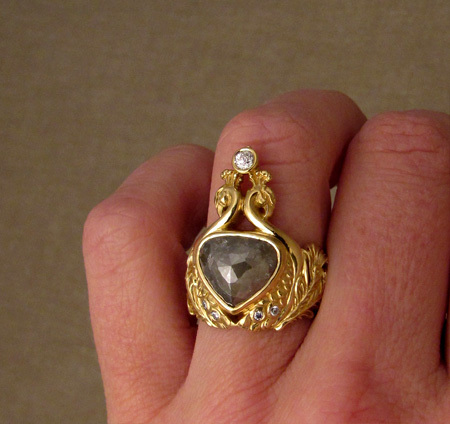 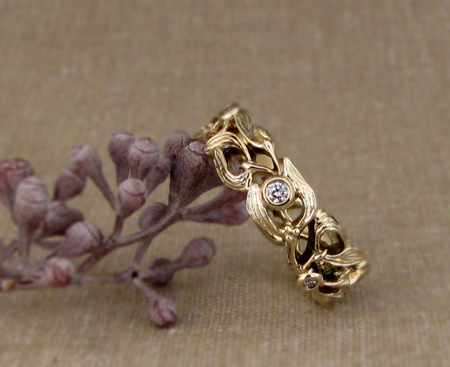 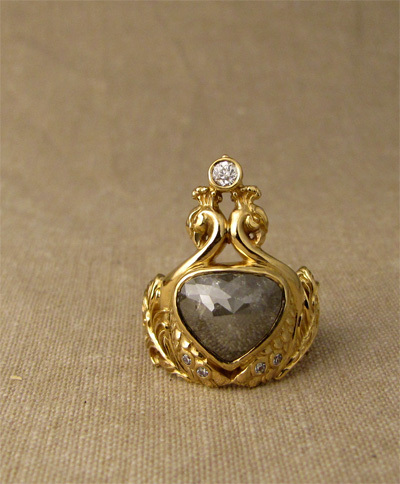 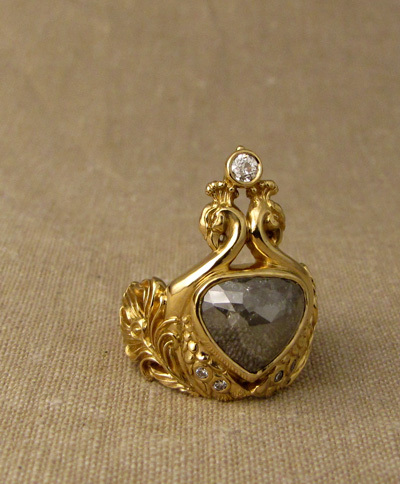 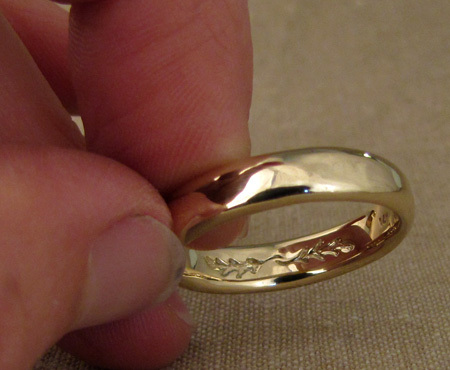 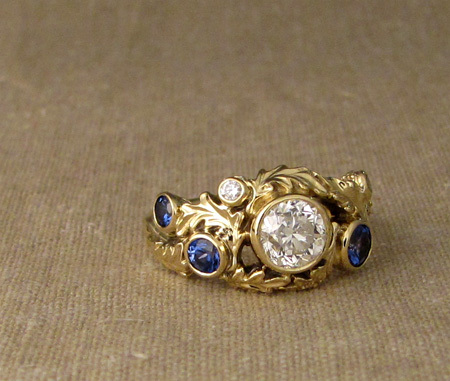 I removed the diamond and reset it into a new hand-carved 18K yellow gold white oak leaf motif ring. 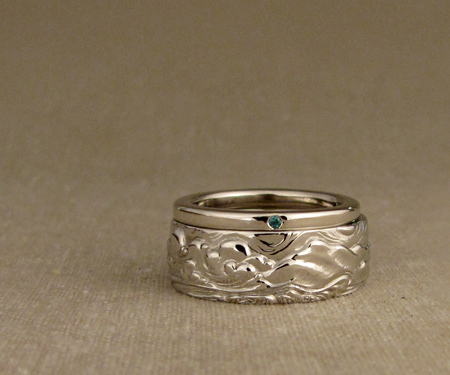 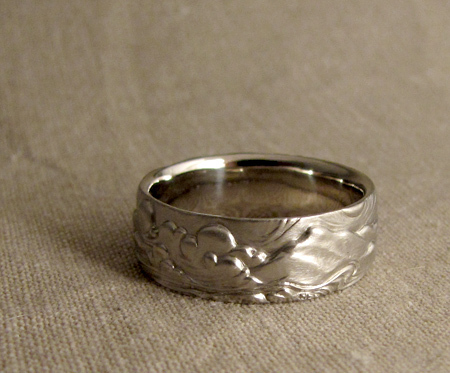 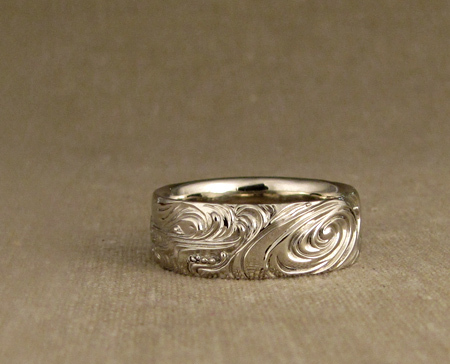 The accompanying man’s band was a classic polished style with a discrete intaglio-style carving of two oak leaves on the inside of the band.